Home » PR » Is WhatsApp for Your Hotel? philosophy, WhatsApp is not really the best candidate for business users. Still savvy businesses can still use the app to communicate with buyers and consumers, to push special offers and deals, and finally, to sell. According to the Accor Asia Pacific Survey from October 2014, WhatsApp has surpassed Facebook in four markets: Hong Kong, Malaysia, Singapore and India. At a more general level in the region, Facebook remains the most popular platform for travelers, but it is closely followed by WhatsApp. The trend for Asia Pacific may reveal a global trend, especially considering the widespread adoption of WhatsApp in European countries. 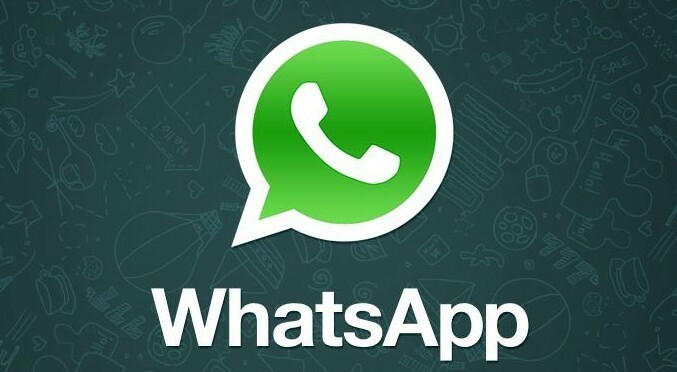 According to Statista, the countries with the most active WhatsApp users at the end of 2014 were South Africa (78%), Malaysia (75%), Argentina (74%), Singapore (72%), Hong Kong (71%), Spain (70%), India (69%), Mexico (67%), UAE (63%), Italy (62%), Netherlands (61%), Germany (57%), and the list goes on. If you have guests coming from any of these countries, or if you target them, you should consider WhatsApp. To start, add your hotel’s mobile number and the WhatsApp logo on a visible place on your site, to let visitors know that communication via WhatsApp is provided. Add your WhatsApp information to your Facebook profile, as well as to other social media profiles, for broader reach. WhatsApp text and voice messaging is available on iPhone, BlackBerry, Android, Windows Phone and Nokia. The app enables group chatting, location sharing, as well as video and image sharing. These are the features that reveal the business potential of the app. For hotels, WhatsApp is not yet a goldmine, but with worldwide adoption, things may change, and the future belongs to early adopters. Besides, for many people WhatsApp has become part of everyday life, just as important as Facebook. The main advantage of using WhatsApp is that you know your audience, you communicate directly, without going through a third party channel. Your news is sent in real time to the guests’ mobile phones, allowing them to make informed decisions. As a direct means of communication, WhatsApp builds trust and community. The app is also a favorite for guests, because the service is faster than a request by e mail or fax. Take advantage of the low cost of the app – first year free, $0.99 USD/year after – to bring relevant messages in front of the guests who opt in to communicate with your hotel. Use the app’s excellent group chat feature to create relevant group categories for your business. For instance, for repeat customers, create a special group which includes only those guests who return to your hotel every year, and give them special incentives, designed exclusively for them. Rewarding guest loyalty is a great way to retain customers, as well as a powerful instrument to generate word of mouth. Hotels like Sheraton Frankfurt Airport Hotel & Conference Center already use WhatsApp to communicate with guests. Most questions addressed to the hotel on this channel include pricing information and booking inquiries, lost property inquiries, billing inquiries, as well as travel information inquiries. The Sheraton example, and success with the app, shows that WhatsApp has tremendous potential to becoming the next big communication channel for hoteliers. Of course, the short messaging service is not suitable for all types of queries. Nothing can replace the personal contact for complex requirements (via e-mail or telephone). Sensitive data, like credit card information, cannot be shared via WhatsApp, because the app does not encrypt the communication, and message contents can be read by third parties. Last but not least, it is imperative to answer inquiries received via WhatsApp as soon as possible. Sheraton Frankfurt Airport Hotel & Conference Center manages a 5 minutes turnaround, but other hotels fail to respond timely, frustrating users. If you adopt WhatsApp, train your personnel to respond timely, courteously, and clearly.